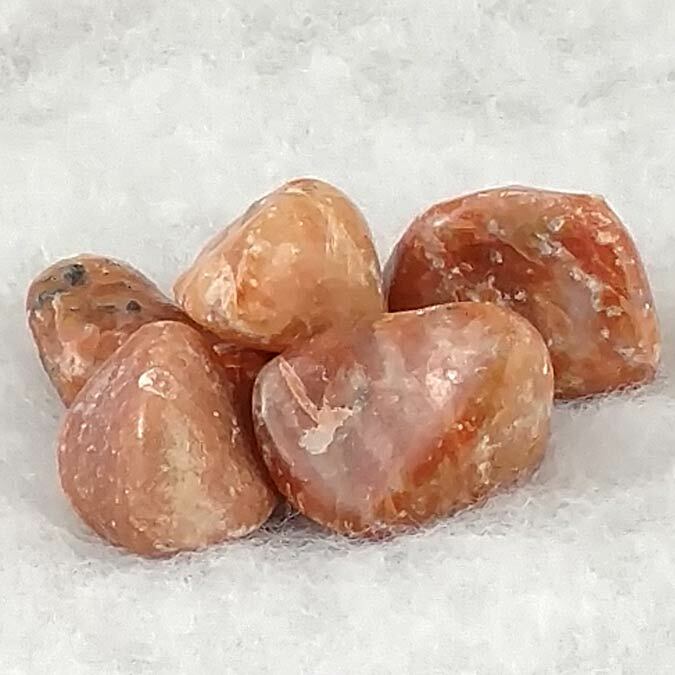 Tumbled Orange Calcite healing gemstones. Orange Calcite is an aid for those who no longer think a positive turn in their life is possible. It seems to address past life traumas blocking our way in this life and we may then remember the state of perfection. Large size, 1" and up with more random shapes than rounded. Take Note: Calcite is a 'soft' gemstone. These will get scratched or a scuffed finish if carried with other harder gems in your pocket. They need to 'travel' alone. When used at this Chakra, it can be cleared and activated. It may also clear other centers in this process. Soothes and heals past life traumas held in this Chakra, aids in healing and releasing past life sexual abuse, releases negative karmic behaviors and releases negative karmic patterns. Heals current life sexual problems from battery or from sexual abuse. Orange Calcite has a Trigonal crystal system and is in the mineral class of carbonates. It is formed from solutions that are rich in calcium in one of two ways, either by hydrothermal occurrence, or most commonly through sedimentation. This orange variety can be found in the area of Franklin, New Jersey in the US and certain areas of Mexico. All Calcites are a 'soft' stone and can be scratched using only a finger nail. This one will also occasionally form as stalactites whose bases are actually much softer than the hanging faces of the crystal. It can also be found holding well formed crystals made from other minerals. As with most gemstones, Orange Calcite offers its best effects when in direct contact of the body. It may be worn or can be laid directly on the 2nd Chakra. It is also very beneficial to use during meditation since its color is linked to the sun and light, and light is linked with spiritual purity and knowledge. Orange Calcite helps us trust in ourselves and to heed our inner voice of calm which can the provide a more stable perception of ourselves. 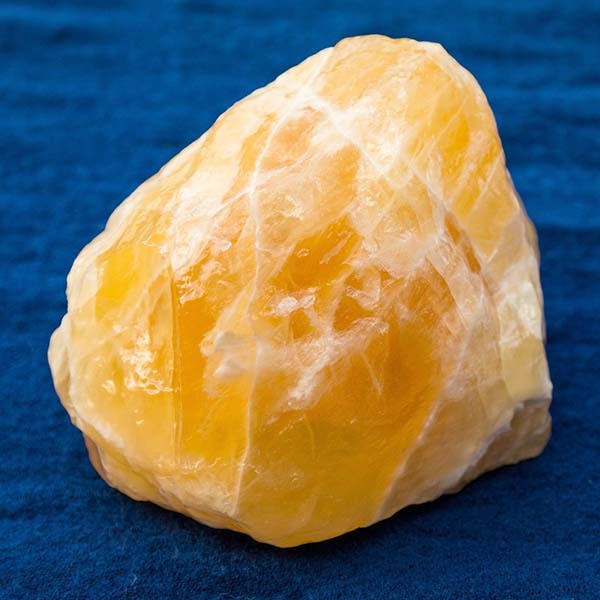 Orange Calcite helps to transform thoughts into action. In allowing differences to be revealed, choices for actions become more clear to us. Orange Calcite will aid in stimulating metabolism, stimulates blood clotting and encourages healing of tissue and bone. Orange Calcite has a special affinity with those in the sign of Cancer, but benefits all signs. It carries a Projective Energy, its Planet is the Sun, and its Element is Fire. Currently, many magickal practitioners are using Orange Calcite placed on alters during rituals or rites, or wear it as a protective stone. While it may only be evident to the eye in the clear or optical varieties, because of its make up, all calcites carry the double refraction property which seems to double the power of intentions when used for that purpose.